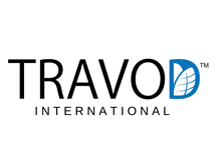 TRAVOD International offers professional language translations in more than 120 languages. It is really important to me to have my opinion respected and listened to at my workplace. A freedom-centered, democratic workplace means that you can express your thoughts every time you have something to say and your rights are respected. This is very important for a person who wants to improve themselves and to grow in his/her professional path, because feeling important motivates an employee, thus his work is more qualitative and he is interested in the company's success. In order to do your work well, you need to like what you do and like the atmosphere of the workplace, but a healthy atmosphere can be only in a democratic organizational-type.